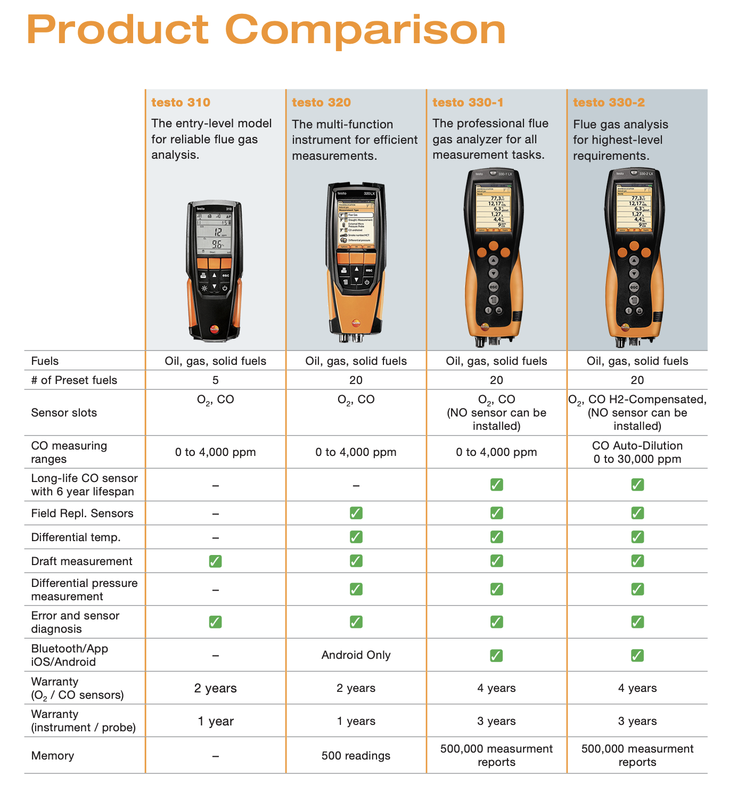 The Testo 330 is the flagship of our handheld combustion analyzers. It has many powerful features including optional NOx measurements, ambient CO/CO2 probes and much more. It has a full color graphic display, expanded memory, optional software and Bluetooth for convenient operation. The Testo 330 is the professional's best friend. 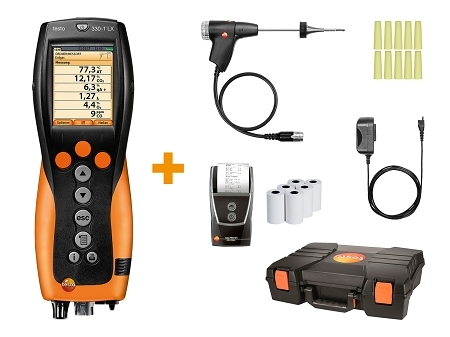 The Testo 330-1G LX, is simply combustion without confusion. Redesigned with a full color graphic display, the 330G allows the user to visualize the measurement data graphically without watching numerical values. Self-explanatory graphic curves as well as easy to understand symbols and a clear color display ease the understanding of the measurement data considerably showing the user where they are at, and a trend line of where they are headed during the adjustment process. Thumb symbols confirm instantly system status of O2 and CO concentrations in the green zone (safe and efficient) confirming operation falls within the manufacturers guidelines. User configuration allows the display of 2 to 8 lines as numerical values and 4 measurement values simultaneously in a line-graph display. This feature shows trends that may be compromising safe operation or fuel combustion such as depressurization of the combustion air zone, loss of draft, or fluctuating O2 due to potential heat exchanger failure. 2937 TruReward$ points will be placed in your account when you buy this item.